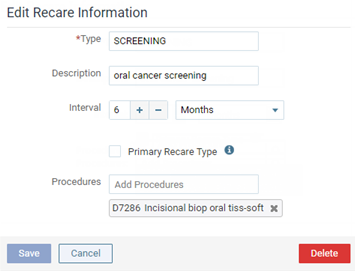 You can delete a recare type that is not attached to any patient's record. On the Settings menu, under Patient Care, click (or tap) Recare. The Recare Setup page opens. 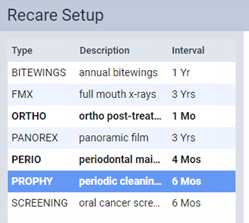 On the Recare Setup page, select a recare type.